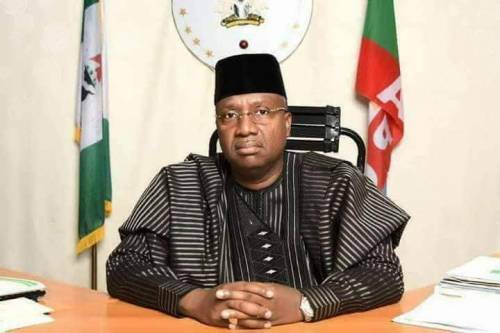 Jibrilla Bindow, Governor of Adamawa State, has conceded defeat and congratulated Ahmadu Umaru Fintiri, winner of the 2019 governorship election in the state. In a state broadcast, a text of which was made available to SaharaReporters, Bindow congratulated Fintiri and wished him a successful term of office. "In view of the outcome and declaration of the results by INEC, I wish to congratulate the Governor-Elect Rt. Hon. Ahmadu Umaru Fintiri over his election as the incoming Governor of Adamawa State and wish him successful tenure,” he said. Bindow expressed committment to democratic norms that would help strengthened democratic practice in the state and country as a whole. "As a democrat, I cherish democratic norms and values, as it is practised in the civilised world,” he said. Meanwhile Fintiri has called on fellow contestants to offer their services to his administration in order to move the state forward. At a press conference to mark his victory, he assured the people of Adamawa that he would respect their mandate and be accountable to them at all times. Bindow's congratulatory broadcast has put paid to speculations about challenging Fintiri's victory at the tribunal.